Some things don’t need introductions. They are as simple as they can be yet still incredibly beautiful and satisfying. 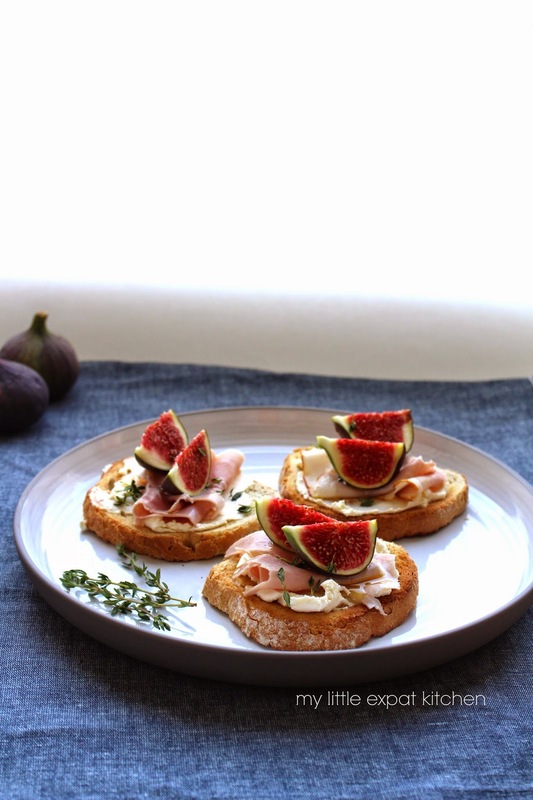 When figs are ripe and sweet, mascarpone is creamy and ham is salty, then what more do you need than a slice of good, crusty bread, some runny honey with floral notes, a few sprigs of earthy, fresh thyme, and a drizzle of extra virgin olive oil? 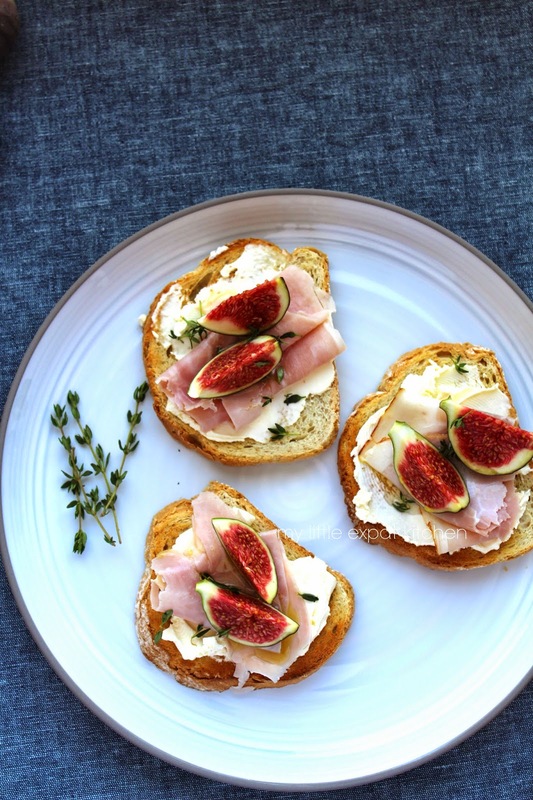 A quick recipe for bruschette that you can make as an appetizer or serve as a nibble with a chilled glass of wine or a cold beer on a warm, late-summer evening. One of the tastiest bruschette there is. Use any kind of cured, boiled or smoked ham of which the taste you enjoy. Instead of mascarpone you can also use cream cheese, or for a different flavor profile and if you like its tangy and sharp flavor, goat’s cheese. 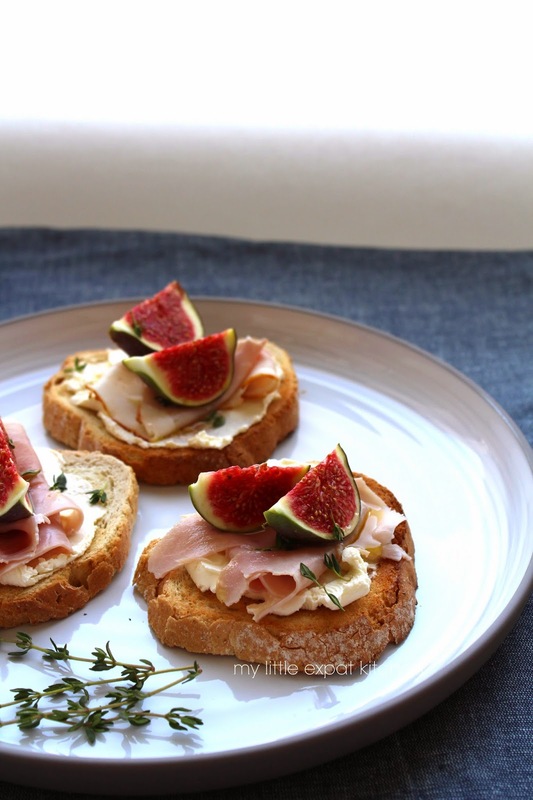 For a vegetarian option, omit the ham and add a sprinkle of good flaky sea salt on top of the bruschetta. Toast the bread either in the oven or in your toaster. Spread enough mascarpone cheese to thickly cover them. Lay either half a slice or a whole slice of ham on top. 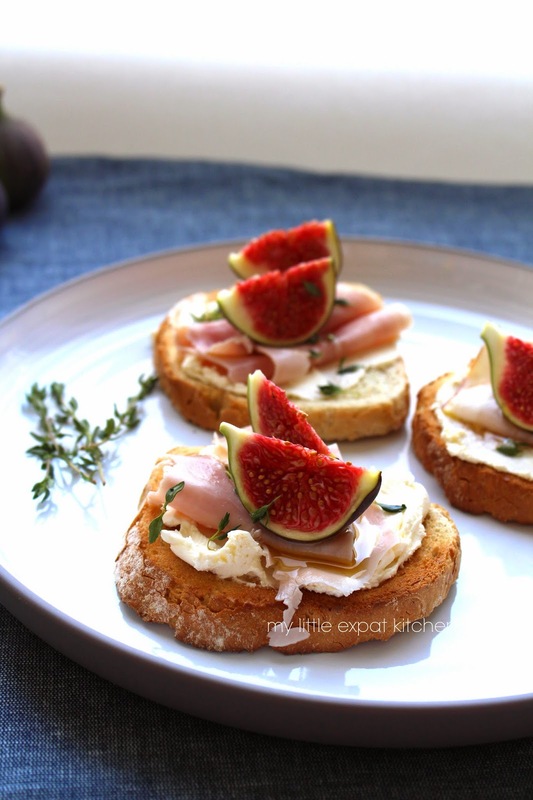 Add the fig pieces (2-3 pieces for each bruschetta). Sprinkle with some fresh thyme leaves. Drizzle with a little olive oil and some honey. Sprinkle some flaky sea salt if you wish over the top. Simple, delicious and with the focus on beautiful ingredients not crazy preparations. My favorite type of dish. Love it! 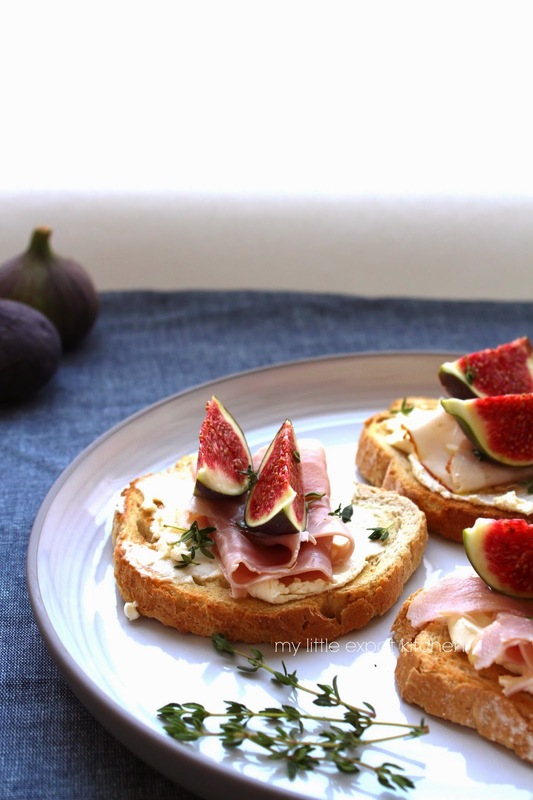 I am obsessed with figs and these look seriously PERFECT. What a fabulous appetizer! 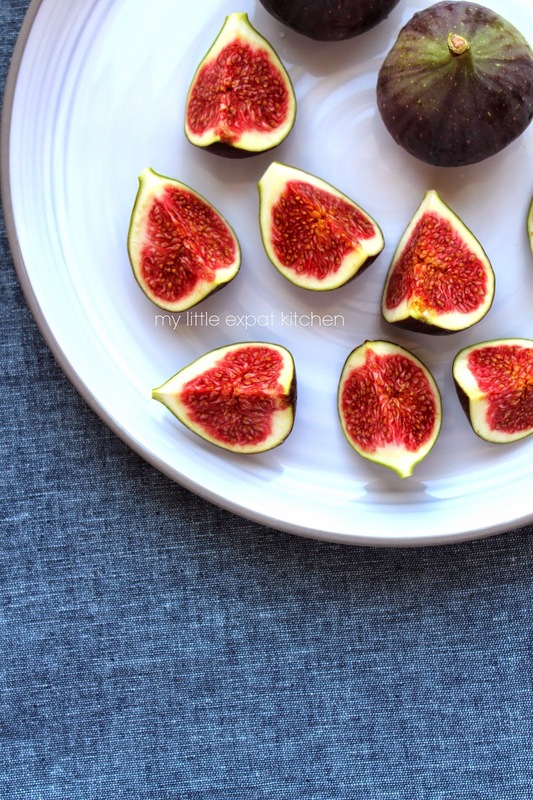 I am obsessed with figs too! I miss the Greek ones, but I have to do with what I can find here in Holland. Lovely to look at and no doubt lovely to eat. Simple things are the best aren't they. 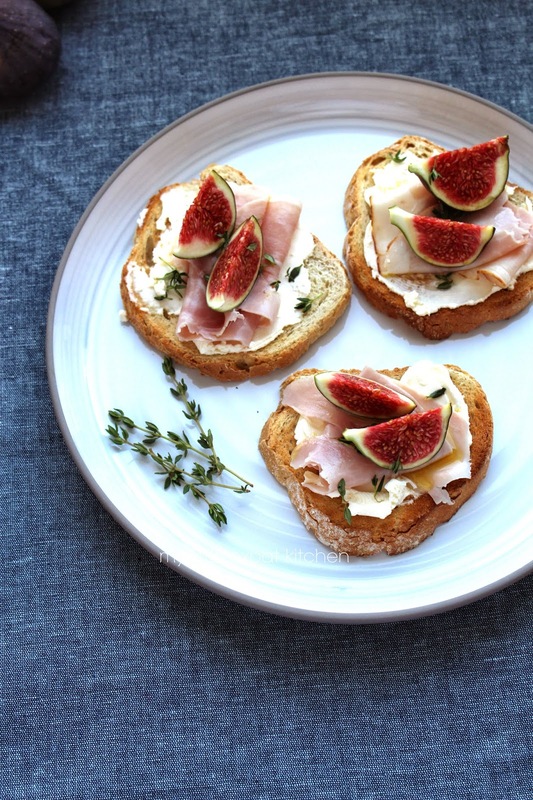 Good idea for a late summer snack. 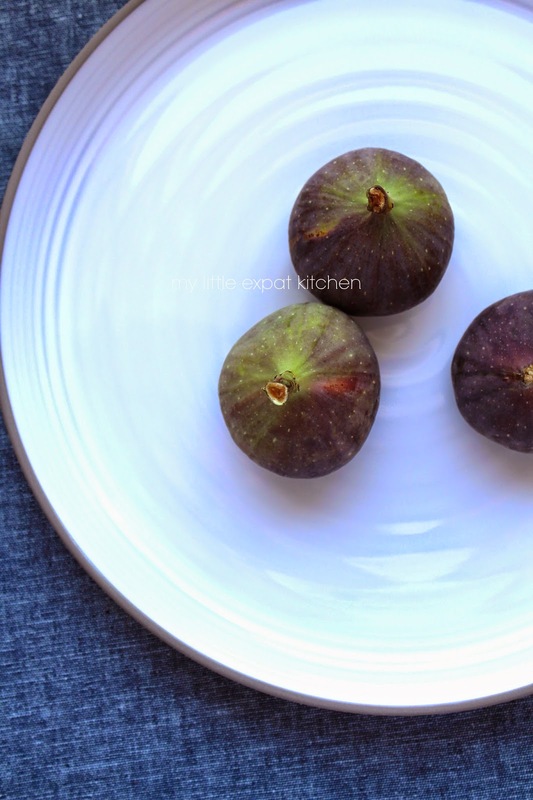 Stunning photos and perfect figs! I see those working great with prosciutto too.